Your Crpyto - Keep it Safe! Protect your money in a virtual vault. Privacy and peace of mind guaranteed. Cyberghost VPN. Make your transactions hacker-proof. Secure your money and personal data behind our powerful VPN. Instantly access crypto-security when you need it. Click a button to secure your transactions. Safely access a variety of popular cryptocurrency sites and wallets with the dedicated built-in profile. Add other services quickly and easily if needed. 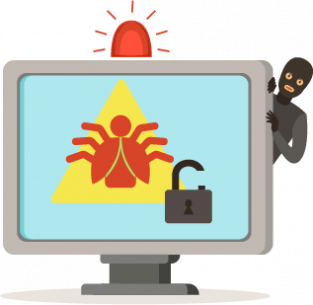 Relax knowing that we update our service frequently to protect against new threats. That’ why we’re the first VPN to offer crypto-protection. Fake WiFi that mirrors public networks, is becoming a common way to scam people. Everything you do can be seen and stolen. Our Virtual Private Network (VPN) means your IP address will be untraceable, making it almost impossible for people to trace your transactions back to you. Your data is encrypted end-to-end for added security. CyberGhost makes it easy for you to carry out secure transactions with the unique Cryptocurrency Protection Profile. It allows you to safely access the most common cryptocurrency exchanges and wallets, such as Coinbase, Kraken, CEX.IO plus many more, at the click of a button. You also get the option to add other URLs that you trust. Isn’t https enough for secure transactions? In a word, No. Your data can still be traced, especially if you’re connected to a public network. Fake WiFi that simulates public networks is becoming a common way to scam people. If you unwittingly log on to a fake public WiFi operated by criminals, everything you do can be seen and stolen. It’s very difficult to tell the difference between the real network and a fake one, so a VPN is essential to secure yourself. Even your home networks aren’t safe from outside interference unless you use a VPN. Enjoy the unique, dedicated Cryptocurrency Protection Profile which enables a secure connection to wallets and exchanges. "Blazing-fast speeds are something that all VPNs promise, and most of them are fast enough for common use cases like high-definition video streaming. CyberGhost, on the other hand, has some consistently fast speeds across most of its network. 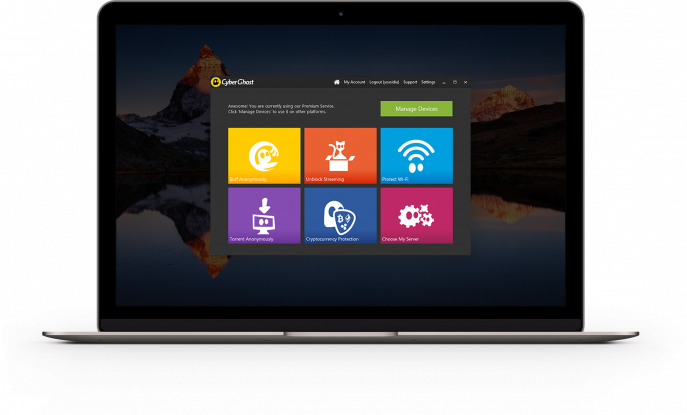 CyberGhost is also good on privacy and anonymity, and offers an attractive user interface that will appeal to most, especially novice VPN users."